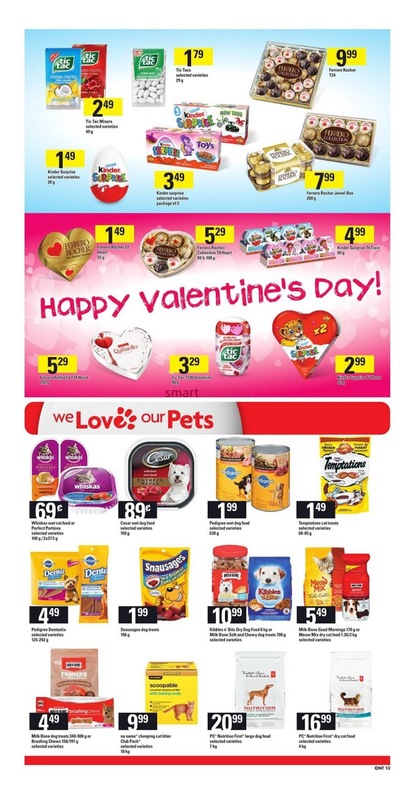 Loblaws Canada Flyer February 1 - 7, 2018 - Sirloin Oven Roast or Stewing Beef $3.99/lb Sale Price Family size, cut from Canada AAA grade beef $8.80/kg. Chicken Drumsticks Thighs Chicken Breasts Fillets $5.00/lb Sale Price Chicken drumsticks thighs chicken breasts fillets $11.02/kg. Extra Large Red or Green Seedless Grapes $1.77/lb Sale Price Product of south Africa or Chile, no. 1 grade $3.90/kg. 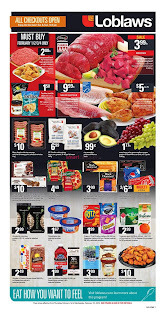 Loblaws Canada Flyer Fresh MSC Icelandic Cod or Haddock Fillets $9.99/lb Sale Price $4.00 Savings $22.02/kg. Fresh seafood items subject to availability. 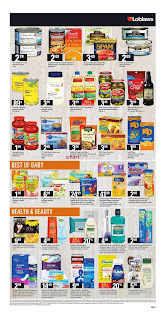 20 Pc Chicken Wings Hot or Chilled $10.00 Sale Price Selected varieties, Available in the ready-to-go meals department. 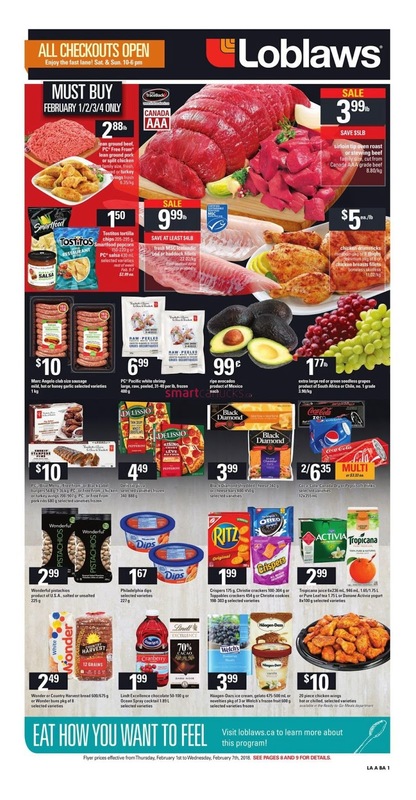 Haagen-Dazs Ice Cream or Gelato Nestle Drumstick or Welch's Frozen Fruit $3.99 Sale Price Haagen-dazs ice cream or gelato 475 - 500 ml, nestle drumstick pkg. of 4 or welch's frozen fruit, 600 g. selected varieties, frozen. 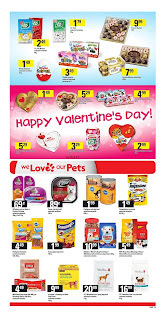 Lindt Excellence Chocolate or Ocean Spray Cocktail $1.99 Sale Price Lindt excellence chocolate or ocean spray cocktail 1.89 L selected varieties. Green zucchini or Eggplant or Farmer's Market Carrots or Yellow Onions $1.99/lb Sale Price Green zucchini or eggplant product of Mexico $4.39/kg. or farmer's market carrots or yellow onions product of Ontario, Canada no. 1 grade 3 lb bag. Mini Cucumbers or PC Variety Tomatoes $6.99 Sale Price Mini cucumbers no.1 grade, pkg of 11 or pc variety tomatoes 1.5 lb product of mexico. Farmer's Market Sweet Corn White Cauliflower $4.99/lb Sale Price Farmer's market sweet corn, no.1 grade pkg of 4 or large white cauliflower product of U.S.A. Farmer's Market Mini Carrots $3.99 Sale Price 20% Savings Product of U.S.A., no.1 grade 2 lb bag. 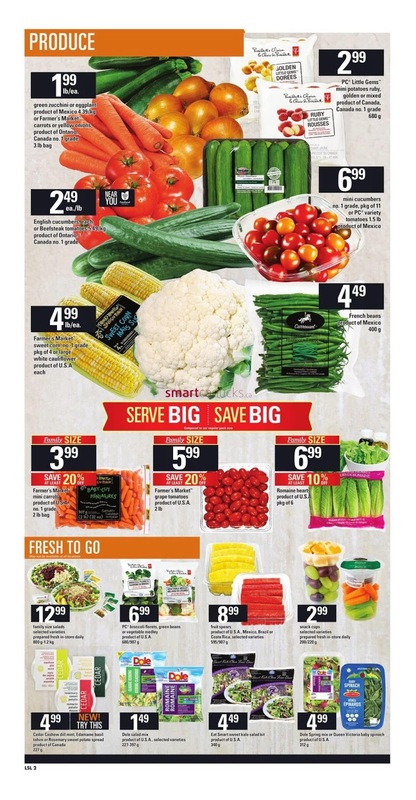 Farmer's Market Grape Tomatoes $5.99 Sale Price 20% Savings Product of U.S.A. 2 lb. Romaine Hearts $6.99 Sale Price 10% Savings Product of U.S.A. pkg of 6. 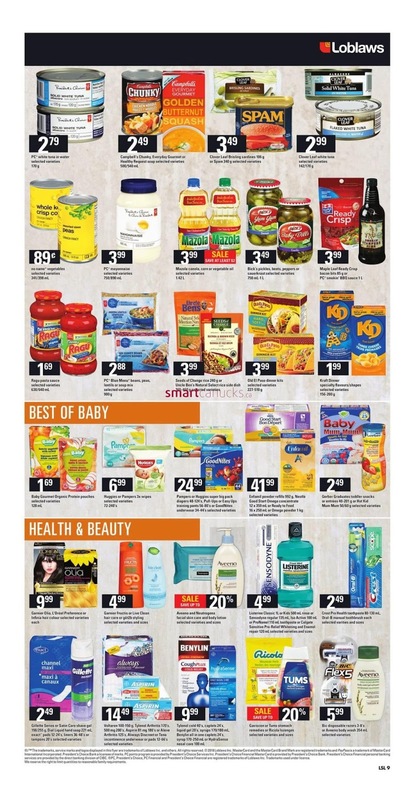 Cedar Cashew Dill Mint, Edamame Basil Tahini or Rosemary Sweet Potato Spread $4.99 Sale Price Product of Canada 227 g. Loblaws Flyer Dole Salad Mix $1.49 Sale Price product of U.S.A., selected varieties 227-397 g. Dole Spring Mix or Queen Victoria Baby Spinach $4.99 Sale Price Product of U.S.A. 312 g. Eat Smart Sweet Kale Salad Kit $4.49 Sale Price Product of U.S.A. 340 g. Snack Cups $2.99 Sale Price Selected varieties prepared fresh in-store daily 200/220 g. Boneless Striploin Grilling Steak $14.99/lb Sale Price 20% Savings Cut from Platinum Ontario Corn Fed Canada AAA grade beef. $33.05/kg. Family sizes. PC Build Your Own Bouquet Collection $7.00 Sale Price Assorted colour and varieties bunch.